If you’ve been on Neopets for any amount of time, you’ve probably noticed that Petpets sometimes look like their bigger counterparts, Neopets. Always the best companions for Neopets, Petpets can be given to Neopets to take care of. Like Neopets, they can also be named, trained in levels, battled in their own Battledome Arena, and painted! There are also activities that only Petpets can participate in, including Grave Danger in Neovia, Symol Hole in Meridell, and waking up the massive Turmaculus (although I’ve heard Turmy has an appetite for Petpets sometimes!). Many people like to match their Neopets and Petpets but sometimes, the resemblance is too uncanny. This is a list of Petpets that look the most similar to every single Neopet! You can use this as a guide to picking a Petpet for your pet, or just to marvel at how Neopian nature works sometimes. This list is based on unpainted pets and Petpets, as some ~magical~ brushes can change the entire look of a Neopet or Petpet! These two both have big ears, but that doesn’t mean they’re trying to listen in on your conversation. This "A"-team both have two pairs of ears, one stumpy and one long. As the name might suggest, the Baby Blu looks just like a baby blue Blumaroo! Both have long tails and short ears, but never accuse a Bori of eating ants. 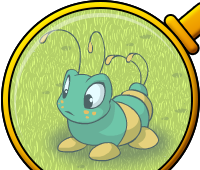 The Buzzer looks like a little, plump version of its Neopet counterpart. These Tyrannian natives both have long necks that help them reach yummy leaves. These two look like the perfect pair for Easter, or for magically pulling out of a hat! The Ukali looks like a constantly sad Draik, but Draiks are quite happy unless painted grey. If you can face (get it) the fact that the Ettaphant has two heads, these two are very similar! The Eyrie and the Albat look to be from the same Neo-family, and the Maraquan versions are exactly the same too! These two are both beautiful horned sea creatures! They would make a great pair. The Puppyblew looks like the puppy version of a full-grown Gelert. Long shearling fur is evident on both of these… do Vacana celebrate a shearing day as well? These two prehistoric rexes look identical in everything but size and they both hail from Tyrannia. These two slithering creatures both have lined underbellies. In addition to looking alike, the Ixi and the Zebie are both from Meridell. Believe it or not, as they both look aquatic, Chompers come from space! The Khonsu looks like a little Jubjub all wrapped up like a mummy! The Flowper has three ears… the Kacheek has two, but they are all downturned and pointy! These two have identical little noses. Mooooo! Both of them have the exact same oval shaped body and float in the air. The Koi and the Bluna both have pretty, wispy fins. Both are batty, with wings and pointy ears to boot. These two little tigers have stripes all along their fur. This one is a little self-explanatory… some say that the Petpet Krawk can grow up to be the Neopet Krawk if they eat a lot of moss! Both Kyrii and Juma have large, signature tails. These two winged pets both have hooked beaks. Both of these four-legged pals make for loyal companions. These two almost look identical – if it weren’t for the Babyca’s three tails! The Whinny looks like a Moehog dressed up for the joust! You’ll probably catch these two monkeying around. Both the Nimmo and the Greeble have cute little webbed feet. These two would make lovely companions for each other. The resemblance in name and appearance is uncanny! If you’re looking for a pair with fluffy big ears, these two are for you. These two birds have skilled wings, navigational tails, and fluffy chests! Both of these amphibians are happy-go-lucky. These two both have a pair of antennae. The Stego looks like a prehistoric Scorchio! These two share so many characteristics, especially the large wings. This pair would enjoy eating together (and discussing the benefits of having wings that don’t work, the main benefit would be to look cute while asking for more food!). Techoes and Gikerots look like they would get along just fine. These two both have a single horn on their foreheads… hey, where’s the giant omelette? These two aquatic pets have matching dolphin tails and tufts of hair. These two are both winged, hoofed, and speedy – perfect for the racetrack. Both these "U"-names have long fluffy tails. The newest Neopet Vandagyre and the Whoot are two birds are of a feather and should flock together! The ever popular Xweetok has a doppelganger that also has a long cuddly tail. These two are both known for their manes, albeit they are a little prickly, so be careful when petting them. Both the Zafara and Sandan have long thin tails that end in a feather-like bunch of fur. I hope you’ve enjoyed looking through this list! Do you think these are the best matches, or can you find a pair that works even better? Elaine and Jaycin had spent most of her first day trekking down the Western side of Mystery Island, exploring the novelties to be found at the Island Market and Trading Post. They had passed the Island Arena, where they had glimpsed a peek at the Tiki Tack Man preparing for a duel. He WILL be back, right?!? During the winter season, many Neopians wonder what they should eat for their holiday dinner. Of course, the most important part of the meal is dessert. :P There is a myriad of choices which a Neopet has to deal with, and the options may seem overwhelming at times.